You’ve got questions? God has answers! 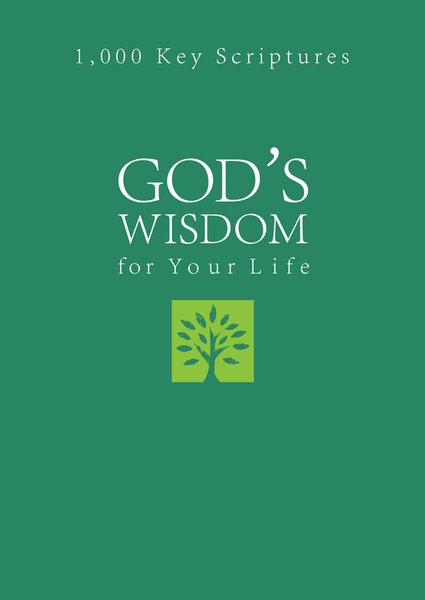 God's Wisdom for Your Life is a compilation of more than 1,000 Bible verses, categorized under 70 key life topics. Drawing from varied Bible translations for ease of reading, this book features subjects such as Anger, Comfort, Forgiveness, God’s Love, the Holy Spirit, Patience, Peace, Prayer, Salvation, Trust, Wisdom, and Worry. Each category is accompanied by a contemporary “life application” introduction, while quotations, prayers, and brief devotional thoughts are also scattered throughout—making God's Wisdom for Your Life your one-stop resource for encouragement, challenge, and hope.